OMAHA, Neb. (KMTV) — Alzheimer's is the sixth-leading cause of death in the United States. Almost two-thirds of Alzheimer's patients are women. In Nebraska alone, 34,000 people are battling the disease. In Omaha, women fight the disease in a unique way. 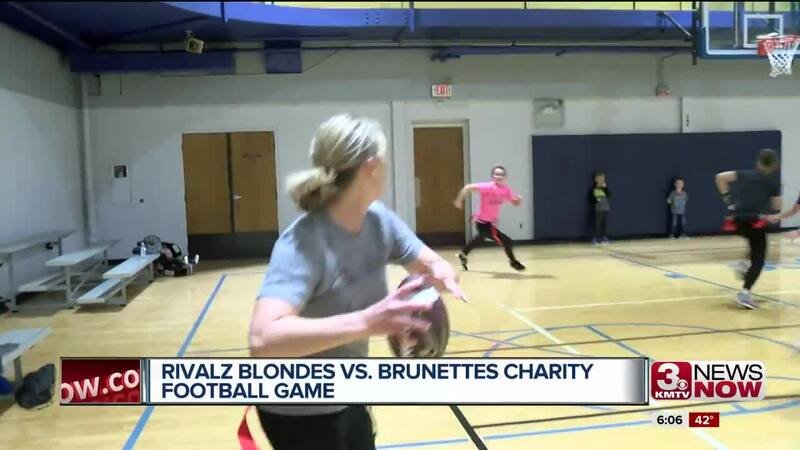 Every year the Alzheimer's Association hosts a Blondes versus Brunettes flag football game. The women have been practicing for the last few weeks to get ready for the game. Many of the participants have relatives who've dealt with the disease or know someone currently dealing with it. "We represent the two-thirds of basically Americans that live with Alzheimer's are women and it's women who are primarily caregivers," said Carly Snider, Team Blonde captain. Currently the two teams have already raised $34,000 for the Alzheimer's Association. The Alzheimer's Association RivALZ: Blondes vs. Brunettes game is taking place on April 19th in Omaha.